of transactions was 11 per cent lower than the record result reported in March 2010. 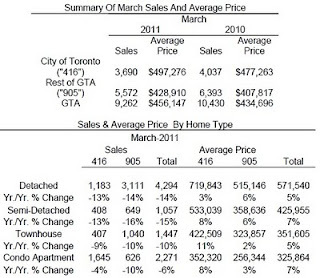 "Market conditions were tighter in March compared to last year. With more competition between buyers, we have seen a strong but sustainable rate of price growth," said Jason Mercer, TREB's Senior Manager of Market Analysis. 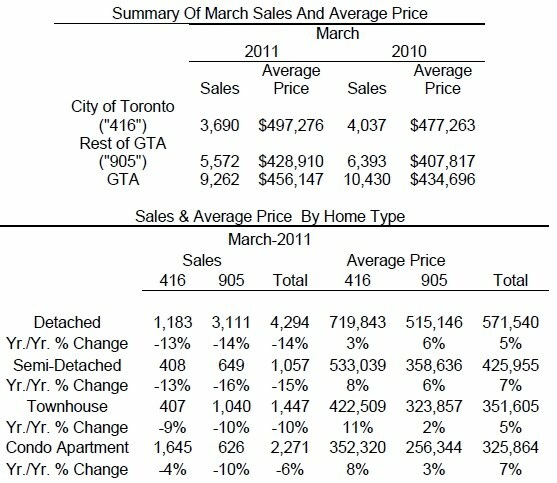 Median Price In March, the median price was $385,000, from the $370,000 recorded during March of 2010.